Loch Ness Monster: Mystery solved? Loch Ness monster theories have ranged from elephants to seismicity. Do we finally have the answer? Back in July, geologist Luigi Piccardi proposed an intriguing new possibility – is the Great Glen Fault system, which runs for 62 miles beneath the Scottish Highlands, responsible? Well. 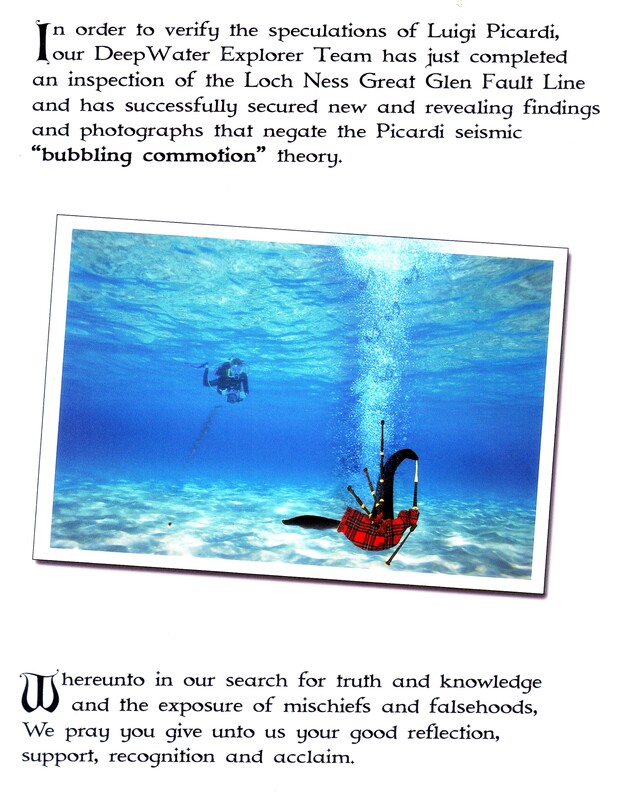 He may be right about the bubbles, but were they caused by seismicity? 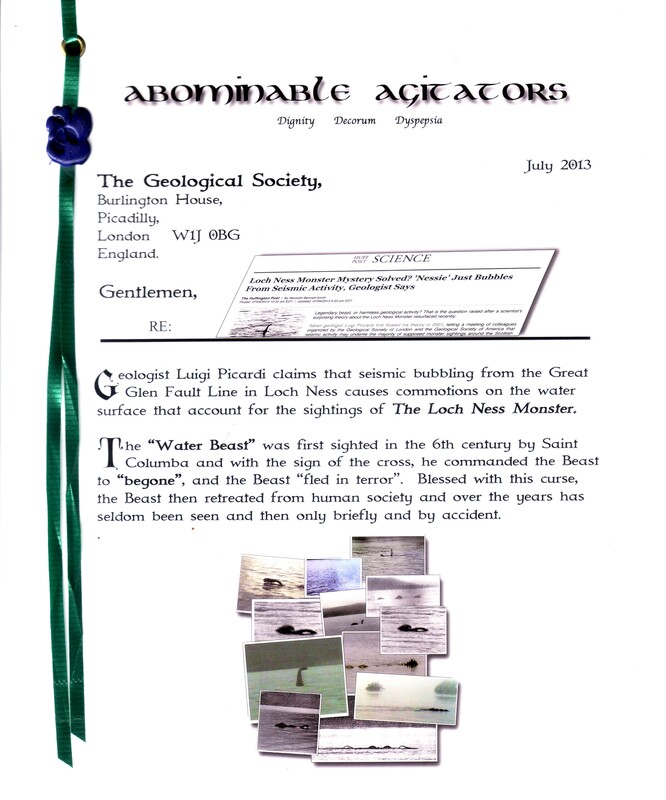 The below dropped into our letter box several months ago, and we’ve long been meaning to share it with the world…. Tags: earthquake, geology, history, loch ness monster. Bookmark the permalink.